When it comes to getting an accurate lay of the land, survey drones are indeed the “droids” we’re looking for. Also known as UAVs (or Unmanned Aerial Vehicles), drones are remote controlled flying devices equipped with cameras and various data collection capabilities. There are quad-copter drones (which move like helicopters) and fixed wing drones (which move like airplanes). Both of these make our work safer and more efficient, so it’s no surprise our engineering and field services departments are big fans. Let’s explore some of the ways survey drones help us make transportation in BC better. This is a big one – just ask our geotechnical engineers. 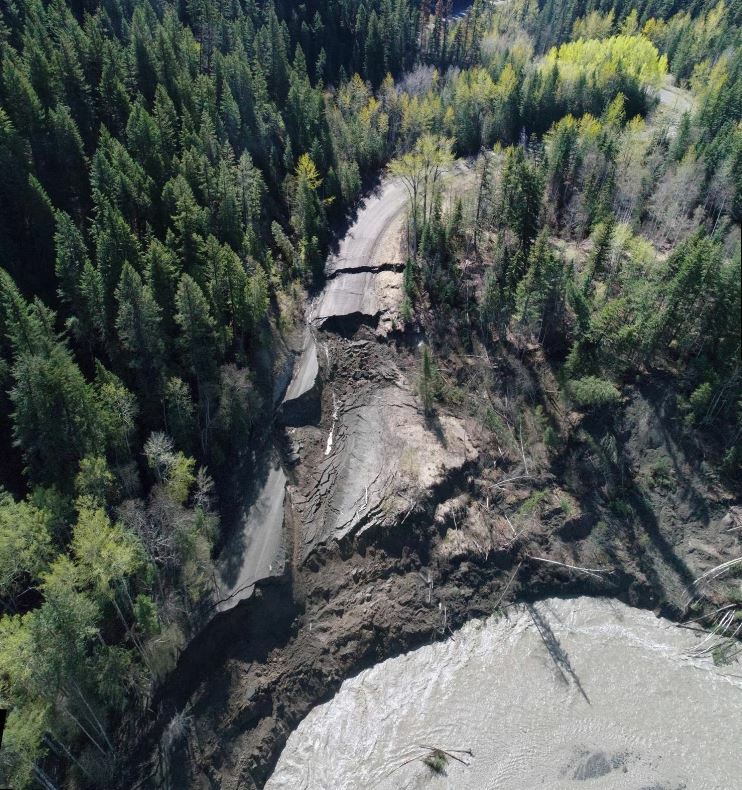 In emergency situations such as floods, washouts, rockfalls and slides, it is really important to ensure the site is safe for responders and workers, which means assessing ground conditions. 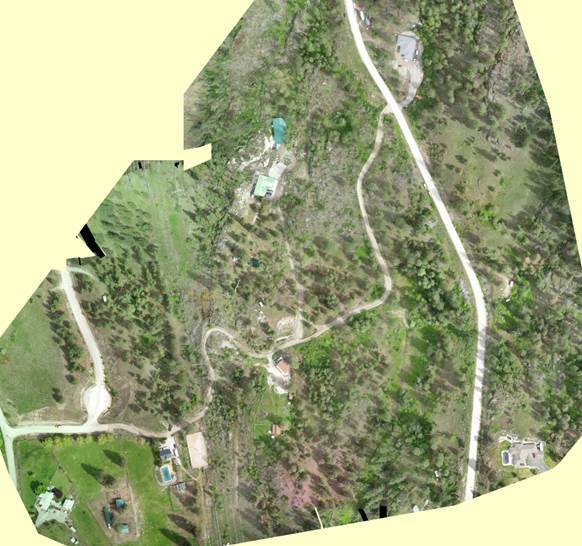 Some locations may be inaccessible or unsafe, requiring an aerial assessment. Helicopters can be used; however, they are expensive and can be limited by bad weather. Survey drones allow our geotechnical engineers to perform an assessment faster, and safer, than other means. This video of West Fraser Road flood damage is a good example. 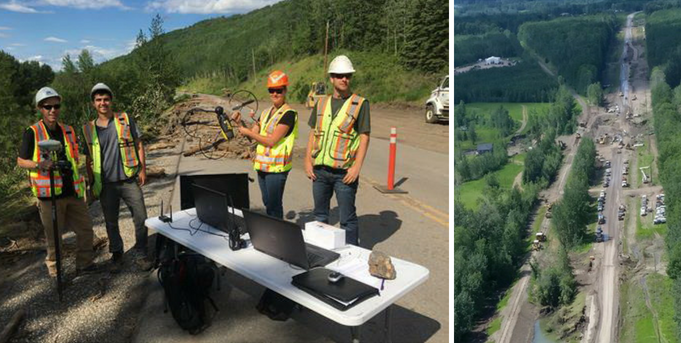 Our highway design and survey people use drones for photogrammetry, which is a fancy word for making measurements from photographs – or more specifically, orthophotos. So, what’s an orthophoto? It’s an aerial photo geometrically corrected so that the scale is uniform. A standard aerial photo taken from a fixed location will inevitably present a perspective based on that fixed location; as a result, for example, objects further away will appear smaller compared to objects immediately below. On the other hand, an orthophoto captured by a moving drone is made up of many images of the ground immediately below (which software stitches together), so scale is not distorted (much like a map). Having an accurate representation of a project site is a big plus during design work, and is also used to develop artist renderings. Survey drones can also capture data to create a high-density point cloud, which is a set of 3D points representing the surface of a scene that have correlating colour from the orthophoto. Looks just like a regular photo, doesn’t it? Using survey drones to produce point clouds can also come in handy for avalanche fence design. The images allow designers to get an accurate picture of the avalanche’s starting zone and path, helping us determine where fencing is needed. And when remote avalanche control is needed to keep travellers safe, drones help our avalanche technicians monitor results. For example, take a look at this drone footage of Gas-Ex avalanche control work on BC Highway 3 at Kootenay Pass. Drones are valuable for documenting projects, and sharing the progress with the public, especially if drivers’ experience on the road is impacted by construction (i.e. new road alignments). If you follow us on Twitter, Facebook or Instagram, you’ve likely seen us share drone photos. Viewing from above is also a good way for project managers to monitor construction and site conditions to ensure everything is going smoothly. 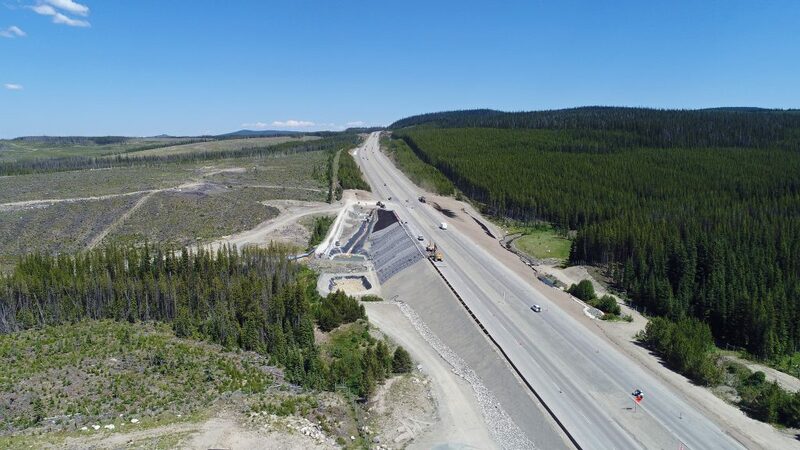 For example, here’s a drone photo from a drainage improvement project on Highway 97C at Pennask Summit. 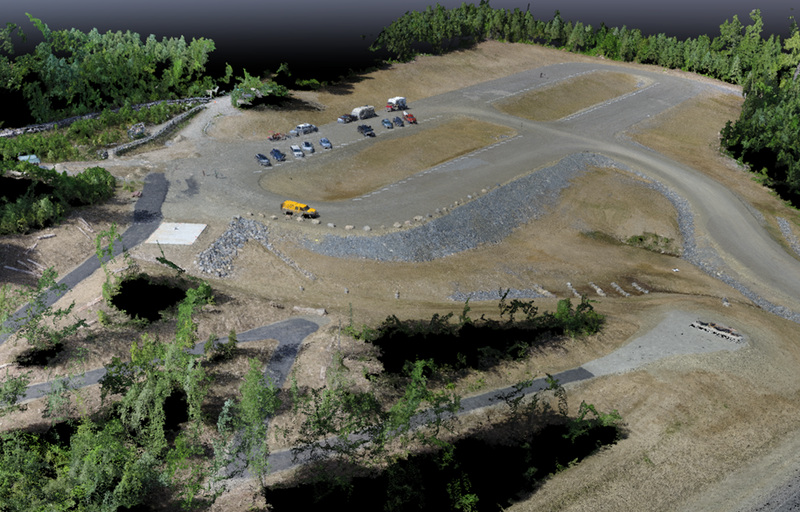 Planning environmental rehabilitation work is made easier with a drone’s eye view and 3D surface models. Drones also let crews keep track of how much construction material – gravel, for instance – is stockpiled, making drones handy little auditors, too. To give you an idea of time savings: if it took two hours to manually survey a stockpile, a drone would take 15 minutes. Our ministry drone pilots have Special Flight Operations Certificates for professional use, and are well-versed in the dos and don’ts of flying drones. These regulations are extremely important, especially since drone flying is becoming increasingly popular as a hobby. Any fellow pilots out there? What kinds of things do you enjoy capturing from the air? Let us know in the comments section below.